2.Now Cut CSS Code of your template. NOTE : CSS Code is the code between the <b:skin> and </b:skin> tags. 4.Paste your CSS Code into the box. 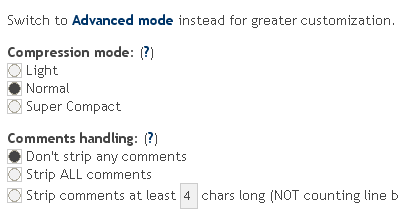 (b).Comments handling:- Select Don't strip any comments. 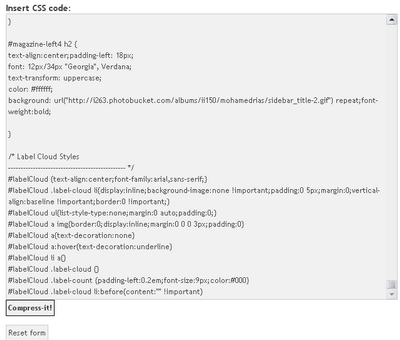 7.After compressing your css code you can see like this message. 8.Now copy your Compressed CSS Code and paste it between <b:skin> and </b:skin> tags. 9.Now save your template and you are done.